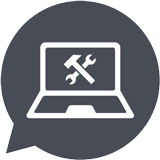 The experience with Synergy for servicing my Acer laptop was excellent. All the people are very polite and friendly. Interacting with Sarvanan was very good. They are knowledgeable and lived up to my high expectations. My laptop has restart issue and finally it was rectified as a IC chip failure in the motherboard. I m happy to receive back my laptop back in it’s working condition.. thanks to Synergy tech team for speedy fix. My hp laptop have screen issues and hinges are broken at the corner. This Synergy Hp service center fix that issues within a day. Extremely super fast service and they quoted less amount only for the screen service and hinges spares replacement thank you guys. Quick diagnosis and service. Polite and courteous staff. They waited for customer approval to make any changes. Gave laptop for slowness. They were able to deduct hard disk issue. They got it replaced and made laptop functional with a quick turnaround of one day!